Grow your small business in New Hampshire the smart way with Valpak. Joining The Blue Envelope® of coupons provides the horsepower of a household name with targeted marketing, cost savings with shared direct mail and powerful digital advertising. Valpak of New Hampshire can help you select your most valuable neighborhoods based on geodemographics, income and carrier routes. Let Valpak design a offer to showcase your business brand with options like coupons, circulars and flyers. Supercharge your online presence with Valpak digital marketing solutions. Let us create and optimize a business profile page on valpak.com or create your business website with responsive design for easy viewing across all devices. The team at Valpak of New Hampshire is Google Ads certified, offering search engine marketing to help people find your business online. We also offer search engine optimization and social media marketing to get your small business found easily. Track your campaign traffic with greater accuracy using our advanced analytics tools. Call tracking and performance dashboard can measure traffic from your unique phone number or URL to your printed or digital offer. Valpak of New Hampshire takes the guesswork out of ROI measurement. Valpak direct mail and digital advertising is a great fit for most types of businesses, including entertainment and travel, restaurants, automotive, health and medical, home and office services, and professional or general services. Let us open the door for you to as many as 280,000 homes in Manchester, Nashua, Concord, Methuen, Dover, Rochester, Derry and other cities throughout the New Hampshire and Northern Massachusetts. For specific dates and coverage, contact your Valpak of New Hampshire representative. 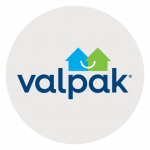 Valpak of New Hampshire is an independently owned Valpak franchise.